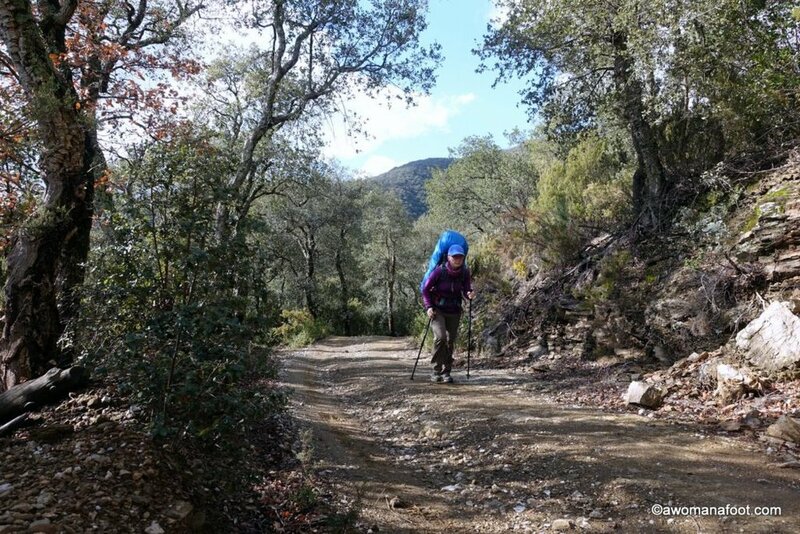 How Trekking Poles Will Turn You Into a 4x4 Hiking Machine! I must admit that I wasn’t sure if I should buy trekking poles the first time I was creating my hiking gear set. I read a variety of articles describing the benefits of walking with poles as well as those claiming trekking poles are at best useless, and at worst dangerous. This was another piece of gear to buy and I was considering “saving” on it. Boy, was I glad I didn’t try to improve my budget by skimping on trekking poles! I still consider them one of the most important purchases and pieces of gear. They shine in particular for someone like me – a hiking amateur with a heavy backpack. But I also have seen many experienced hikers singing their praises. So, what made me into such a fan? Let's take a closer look at the many benefits of hiking with trekking poles. This post, in addition to some awesome tips and advice, contains affiliate links to respected retailers for your convenience. It means that if you buy anything through those links, I receive a tiny commission at no extra cost to you. Thank you for your support! Stability and balance – the most important issue to me. Carrying a big and heavy backpack requires a lot of care when crossing streams or muddy puddles and trekking over difficult rocky trails. Also, toward the end of the day, our legs get tired and it is much easier to misstep and fall. Instead of relying on two points of contact trekking poles make me into four-legged hiking beast. The poles saved me many times when I lost my balance on a slippery surface or unstable piece of rock. Rhythm – most people think trekking poles are only beneficial while hiking in a rugged, difficult terrain. I found that even when hiking on flat, easy surface the poles were tremendously helpful. They helped me get into an energetic marching rhythm and propelled me forward. I was walking faster and with a spring in my step. Help during steep uphill climbs. There is a reason why my triceps are sore after a day or two of hiking. They work hard on uphill climbs! All four limbs work, spreading the load. Besides to the propelling me up, they shine in a climb along a muddy hill or rocky trail. Even if my foot slips, I don’t fall. Be careful - it is very easy to injure your wrist when using poles in a very rugged, rocky climb. It might be better to strap the poles to your backpack and free the hands to scramble up. Less stress on the joints. Trekking poles force other muscles to help with the job, reducing the strain that would normally be absorbed only by knees and ankles. This helps both in ascends and descends. You can do harsh hiking for longer with less risk of a stress injury to your joints. Some studies suggest that using trekking poles can take away up to 7 kg from each step – that adds up to tons over a day hike! This is an important benefit not only for people who already suffer knee and back pain but also for healthy individuals as a preventative measure. Improved posture. Using trekking poles makes me walk upright. My shoulders are not slouching and my spine is straight. This improves breathing and also strengthens muscles supporting the spine. The results of this workout are long-lasting. The more you hike the better posture you have also in daily life, as your spine gets a good training of proper posture in motion. Prevents swelling in the extremities. Some hikers notice that they hands swell during a long trek, especially in hot weather. It helps to keep them up – by holding on to the backpacks’ straps. But that is not ideal, as it’s natural to swing arms when moving. Hiking with poles can remove the issue – engaging arms in work, forcing them to all that blood pumping prevents swelling. Help in challenging situations. Crossing streams can be tricky – it’s much safer if you have something to help you keep balance and probe depth of a stream or a puddle. You can also use a pole to check if a stone you plan on stepping is stable or moves. Some bogs are very difficult and there is no way to guess how deep they are – 2 cm or up to your ankle and above your boot. The whole body is working – not just the legs. For people for whom hiking is the only form of fitness/workout, it is important to engage the whole body. I don’t like “doing workouts”, I hike because I like it and I’m glad it is also a great workout for my body. By using poles I ensure that all the muscles are working – not only the lower body. And it’s not only arms – back and core muscles are constantly engaged, too! It might sound strange, but my back and arms look like I work out daily pumping iron. I can see it particularly in my shoulder muscles, lats, biceps, and triceps but also noticed it in my forearms - you can learn anatomy on them! Greater calories expenditure. This one is a benefit only if you wish to burn more calories. Some research suggests that hiker who is using trekking poles is burning up to 20% more calories than when hiking without them. This can be a downside if you can't burn too many calories as it means the need to carry and eat more food. Whenever I go for a longer hiking trip I can see fat melting off me. I don't know how much calories I burn exactly, but I am pretty sure it's much more than I provide with food (besides the regular needs of the body). Additional benefits. Poles can substitute tent poles in the ultra-light shelter system. As I am trying to go lightweight, I plan on buying a light tarp-tent and use my poles in the construction. I can further reduce the number of things and weight I carry. The extra perk? Trekking poles are stronger than tent-poles (in particular the ultra-light ones) so can survive much heavier winds. EDIT - I purchased TarpTent’s Double Rainbow and I can use my trekking poles to create a porch or even to make the tent into a self-standing on a rocky terrain (or a platform). They can also be used to protect oneself from stray dogs or other animals. If you are like me and hate spider webs, you might want to swing a pole ahead of you to take some of the spider webs away. Same with thorny branches – move them away with your pole and carry on. Do you hike in an area populated by snakes and similar animals? Again - poles can save you there! You can also use one as a monopod. There are attachments you can buy for trekking poles to hold your phone camera on. Resting – during a short break you can bend over and rest your weight on the poles to get some rest. There is also the case of emergency litter or splint - I hope we will never have to benefit from this advantage! More energy expenditure - great when you want to lose extra weight, not good when you have no such need. All that energy needs to be provided, which means more high-caloric food consumed. During a thru-hike, it means much more food you have to carry on you. Not a small thing: When I pack for a longer hike, my food is heavier than everything else put together. Possible damage to the trail and causing erosion. All the small holes and rock scratching multiplied by thousands of tourists can bring significant damage to a trail. That's why it is important to think about where we place our poles. We need to do all we can to stay on the trail and do not cause any more erosion. Some suggest putting rubber protectors on the tips to cut down on possible damage. Improper technique – risk of injuries. 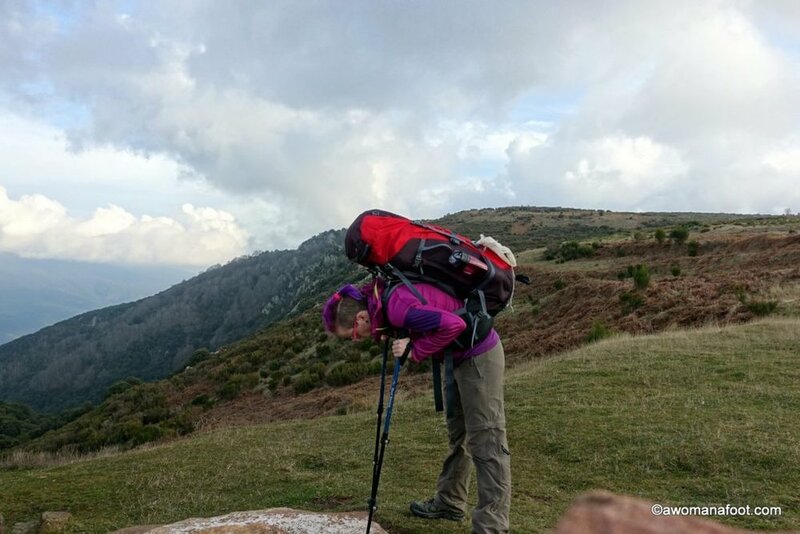 It is very important to read on proper adjustment and use of trekking poles. Wrong height or hold may result in wrist injuries or fall. Proper adjustment: your elbow should be at the right angle when holding the pole (your arms parallel to the ground). Reduce the pole’s length for uphill climbs and lengthen it for a downhill walk. Some advice to check the appropriate height by making a trekking pole even with your backpack's hip belt. You might play with it as you go - and adjust to what feels right. I used to have my poles exactly by the rules - my elbow was exactly 90 degrees... but as I trekked, my hand was falling lower, as that was much better fit for me. Especially when the trail was often leading up, so a few centimeters down was a much better fit for me. My hand also tends to move up and down the handle depending on need and terrain. Sometimes, when walking downhill, I hold the poles from above, like a walking stick. That's why it's good to have it comfortable and rounded to fit the palm nicely. Wrist strap. Your fingers should not be tightly gripping the handle. The wrist strap is there to move the pole up - not your palm. This way it's the whole's arm movement's momentum that lifts the pole, not a tight grip on the handle. Your fingers should be relaxed and loose. When the pole hits the ground, your wrist should rest on the strap, instead of gripping the handle. Always use legs as the dominant propeller– don’t rely too much on the poles, your arms are not strong enough and you would be risking injuries. If your trail requires scrambling over a steep rocky surface, it might be better to store your poles away and have your hands ready. You have three choices of movement patterns to choose from. The most obvious where an arm goes with the opposite leg. That’s a natural way of moving for us and one you will use most often, as it provides the most balance and support. The other way to move is by swing an arm in sync with the same leg. You want to use this pattern when in need to give the most relief to your legs. The third method is to use both poles simultaneously. This method works best when going downhill or steep uphill climb. Flip-lock or twist-lock? I suggest (and use) flip-lock for an easier to use and a more secure lock. Shock-absorbers. There is not much help from that feature and it adds weight. Don't expect miracles. Telescoping or collapsible? Collapsible trekking poles tend to be really light and work similarly to tent poles. They are not adjustable like the telescoping poles. I don't care about the few extra grams, I am glad to be able to adjust the height for a variety of uses. Rubber, cork or foam handles? Cork is considered the most comfortable, melting to your hand but is also the most expensive. Rubber or plastic is not really an option to me - it's unpleasant to the touch, especially when it gets hot and your palms sweat. My rather cheap poles use foam which I find a good compromise between user-friendly material and price. Like with every other gear: It is best to store your trekking poles clean and unlocked. Do you use trekking poles? Why (not)? What are your experiences? Let me know below!